There is an increasing understanding that trauma is pervasive and impacts many people across and within various communities. Social workers, in a variety of settings, often interact with clients who have a history of trauma. When aware of the complexity and the effects of trauma on presenting problems, social service providers are better equipped to provide services through a trauma-informed lens. 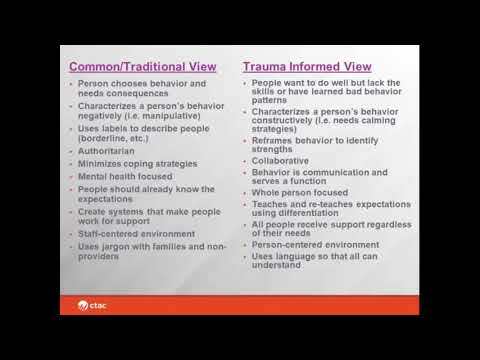 As Trauma Informed Care (TIC) becomes the norm within organizations, social service providers also need to be trauma informed in their practices and clinical relationships. These skills also assist social workers in identifying and addressing the complex relationship between poverty, oppression, and trauma. This webinar will explore the integration of TIC and social work practice. Participants will receive a brief overview of the effects of toxic stress and trauma on individuals receiving services as well as providers. Participants will also gain knowledge of the six core principles based on SAMHSA’s Trauma-Informed Approach: (1) Safety, (2) Trustworthiness and Transparency, (3) Peer Support, (4) Collaboration and mutuality, (5) Empowerment, and (6) Cultural, Historical and Gender Issues, and build an understanding of how these principles need to be present for both the social worker and the recipient of the services. As Dr. Rodriguez mentioned, you can access the ACEs Study Self-Learning Module by going to: lms.ctacny.org and registering.